Caitlin Maling is a Western Australian poet who grew up in and around Fremantle. Since then she has lived around Australia, the US and the UK while collecting a BA in psychology and criminology from the University of Melbourne, a MPhil in criminological research from Cambridge University and a MFA in poetry from the University of Houston. Her work has been published in Australian Poetry, Best Australian Poetry, Westerly, Island, Meanjin, Threepenny Review, Green Mountains Review, Australian Book Review, Prairie Schooner and The Australian among others. A previous recipient of the John Marsden Poetry Prize, in 2014 she was shortlisted for the Judith Wright Poetry Prize and won the Harri Jones Memorial Prize of the Newcastle Poetry Prize. Her first collection Conversation's I've Never Had was developed through residencies at The Varuna Centre, Yaddo, VCCA and Santa Fe Art Institute and was published by Fremantle Press in early 2015. It was shortlisted for the Dame Mary Gilmore Award and in the WA Premier's Book Awards. A follow up collection 'Border Crossing' was released in 2017. Poems from this collection were commended in the Newcastle Poetry Prize and won the Val Vallis Award. A further collection is in the process of development thanks for a grants from the Australian Council for the Arts, Department of Culture and the Arts (WA) and the Dorothy Hewett Flagship Fellowship. 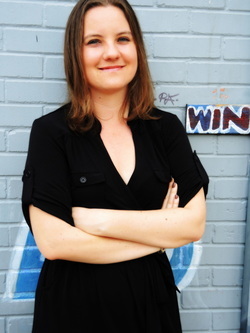 Caitlin is the current holder of the Marten Bequest in Poetry and a Teaching Fellow at the University of Sydney.